WHEN IT’S SO COLD THAT IT HURTS TO BREATHE, it really does — hurt you to breathe, that is. That’s the finding of research done by Dr. Michael Davis, director of OSU’s Center for Veterinary Health Science’s Comparative Exercise Physiology Laboratory and holder of the Oxley Chair in Equine Sports Medicine. Davis and his team discovered that this sort of injury can extend all the way into the lungs. One of the main things that has kept Davis’ research steady is the Oxley Chair in Equine Sports Medicine, which he has held for the last 10 years. 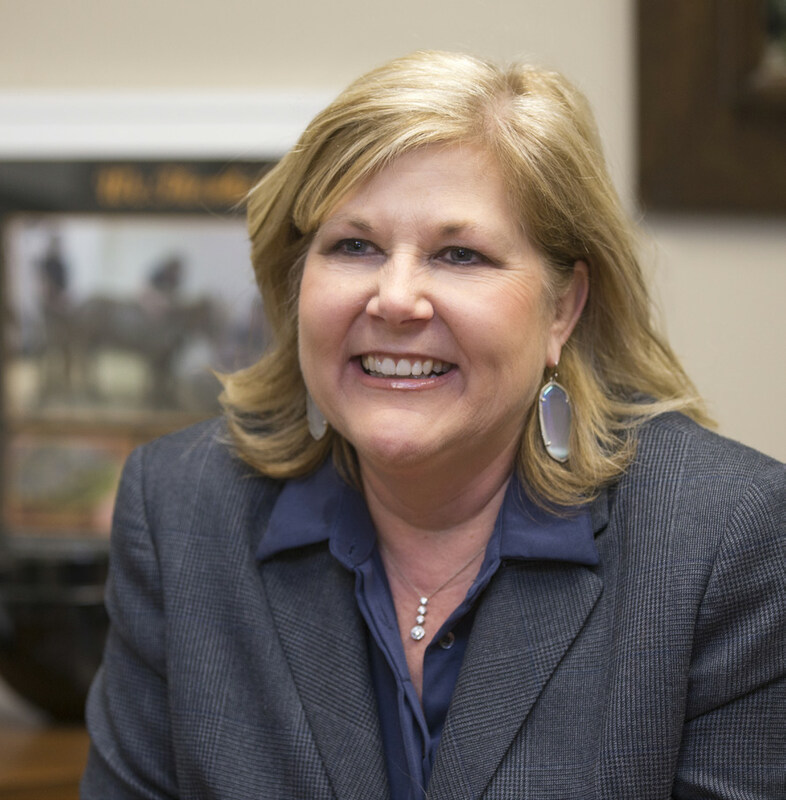 Twenty-five years ago, the Oxley Foundation of Tulsa, Oklahoma, decided to invest in the equine program at Oklahoma State University’s Center for Veterinary Health Sciences. Its endowment created the Oxley Chair in Equine Sports Medicine. The endowment is a huge asset providing resources that are difficult to get. 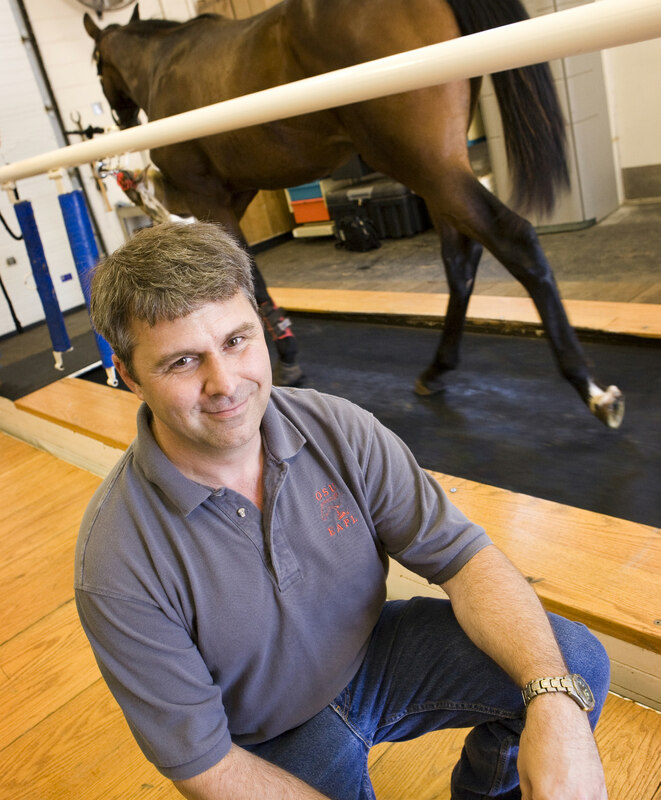 “The Oxley Chair basically allows us to maintain an infrastructure for equine sports medicine that no other university has,” says Davis, who joined OSU’s Center for Veterinary Health Sciences in 1998. Funds help maintain a herd of horses and expensive equipment which expands research capabilities. More recently, Davis and his team started looking at the way muscle adapts to exercise. “Essentially exercise is the muscle taking chemical energy and converting it to mechanical energy,” Davis says. “And really good exercise is doing that very, very quickly. We began using the resources created by the Oxley endowment to help us better understand how that process occurs in muscle and how it improves when horses actually become fit. By using the robust nature of human funding,we get further and get there faster than we would if we just limit ourselves to the amount of money available specifically for horses." Another bonus with the Oxley Chair is that it provides revenue to employ undergraduate and graduate students. Former graduate student Dr. Jessica Quigg, an intern at Montana Equine Medical and Surgical Center in Three Forks, worked with Davis on both his equine and canine research projects. Davis employs about a dozen undergraduate students to help take care of the lab, focusing to improve the health and wellbeing of animal athletes. Davis’ research horses will have ample opportunities to race on the treadmill in the future. Some of Davis’ preliminary work shows that maybe the muscle doesn’t preserve itself as well as previously thought. How indeed is a question Davis will no doubt continue to explore thanks to the veterinary center, the Oxley Foundation and the Oxley Chair in Equine Sports Medicine. For more information on research at Oklahoma State University’s Center for Veterinary Health Sciences visit cvhs.okstate.edu/Research. To support equine research or learn more about establishing funds in support of the veterinary center, visit our Center for Veterinary Health Sciences page or contact Chris Sitz, OSU Foundation senior director of development, at 405-385-5170 or csitz@osugiving.com. For details about Davis’ work on Comparative Exercise Physiology Laboratory, watch the video below.